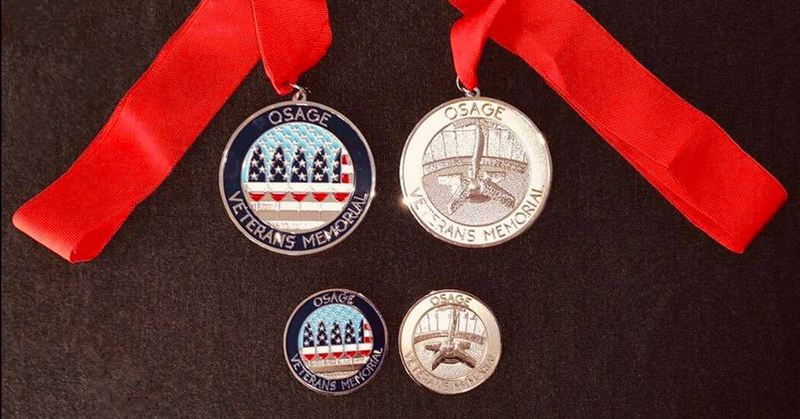 The Osage Nation Visitors Center is selling commemorative Osage Veterans Memorial coins and medallions in support of the memorial structure honoring all Osage military veterans. The gold-colored coins and medallions feature “Osage Veterans Memorial” inscribed on both sides with one side showing the United States flag colors and five standing feathers each representing the five U.S. military branches. The back side shows an artist’s sketching of the Osage Veterans Memorial itself, which opened on Veterans Day 2018. On March 14, the ON Visitors Center announced on Facebook the coins and medallions are for sale at the Visitors Center located at 602 Main Street. Coins are $23 each and medallions are $50 each (plus tax). All proceeds from the coin and medallion sales will go toward the Veterans Memorial Commission, the Visitors Center wrote. 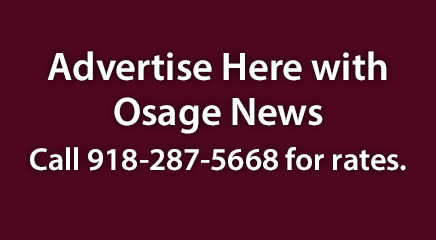 During the most recent Veterans Memorial Commission meetings, the five-member board discussed fundraising ideas for maintenance and upkeep costs for the Osage Veterans Memorial, which stands just footsteps away from the ON Museum on the government campus. At its March 13 meeting, the commission set the prices for the coins and medallions. The ON Visitors Center can be reached at (918) 287-0005 for more information on the coins, medallions and other merchandise available at the center.